This was the first custom designed enclosure we were privileged to create for Reconyx. 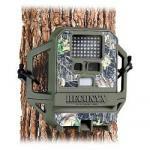 This is the new design for the Reconyx trail cameras. We were excited to be called back and able to be a part of this new design. This is a unique, one of a kind design. We were fortunate to be called upon by Roscoby to help bring this to life. 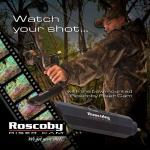 It is a digital video camera that you can mount directly to your bow. This project came to us from R.F. Technologies with the design mostly done but wanting changes made. With our non-parametric software, we were able to make all the changes easily to get this product to market fast. We have CNC programmed many configurations of these limestone blocks used for architectural design for a company called Texas Cut Stone. This is a forearm stock for a cross bow at Parker Bows. We were asked to come up with a way to make this Menards part a 2 piece part for assembly after the deck post was in place. We were able to design this part so that each piece is identical and connects to itself without costly snap features. This is a cover for an archery peep site to protect it from twigs and things bumping the sites off target.